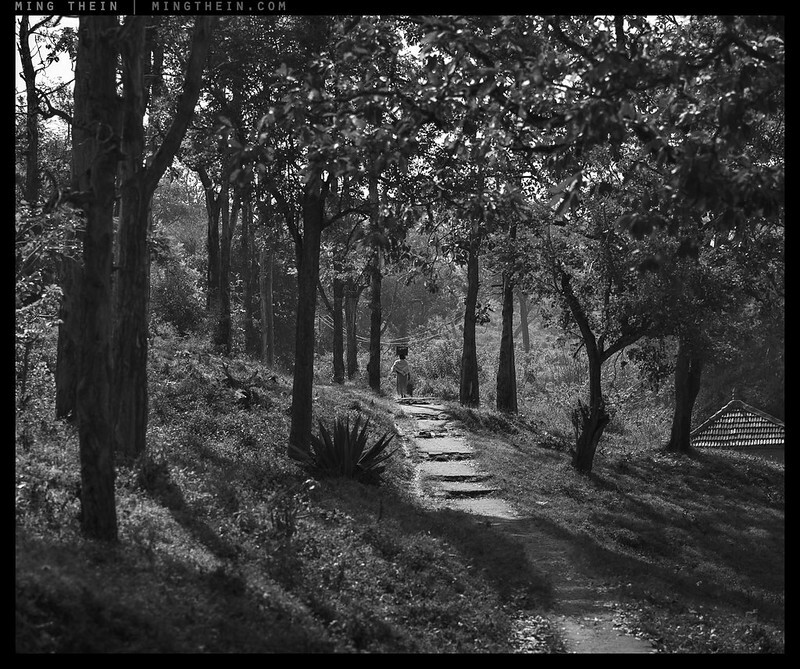 I was having a discussion about the presentation of landscape and color use the other day with one of my students – which in turn got me thinking about why we see so few modern landscapes that work in monochrome, typically unless the shooter is trying to imitate Ansel. My theory is that it’s much, much harder to make a compelling image of nature without color – there is the tendency for the scene to look dead, rather than vibrant and alive. You also lose all of the delicate color gradients in skies and the like – which further deadens the scene. But as with all monochrome, surely we could also use these properties to imply a sense of timelessness, surreality or detachment? 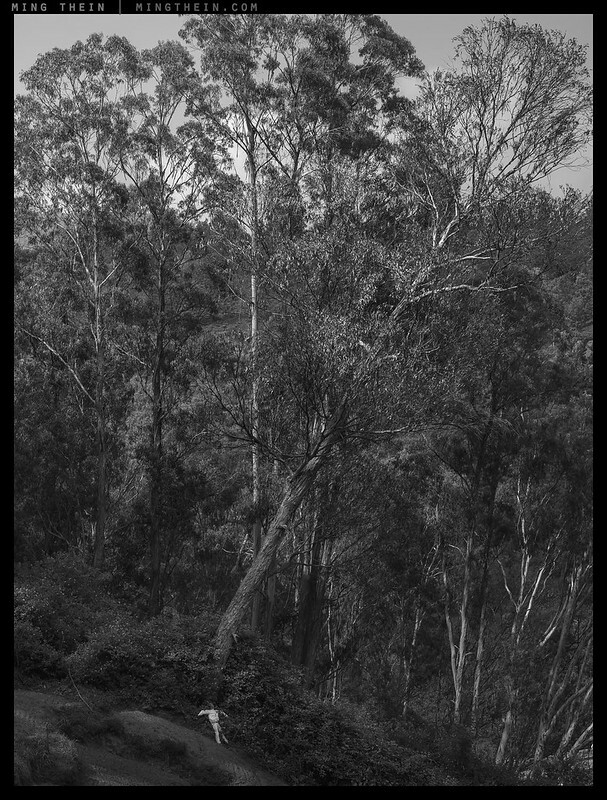 With this set, I wanted to see if I could effectively use the implicit characteristics of monochrome images on a series of landscape studies. 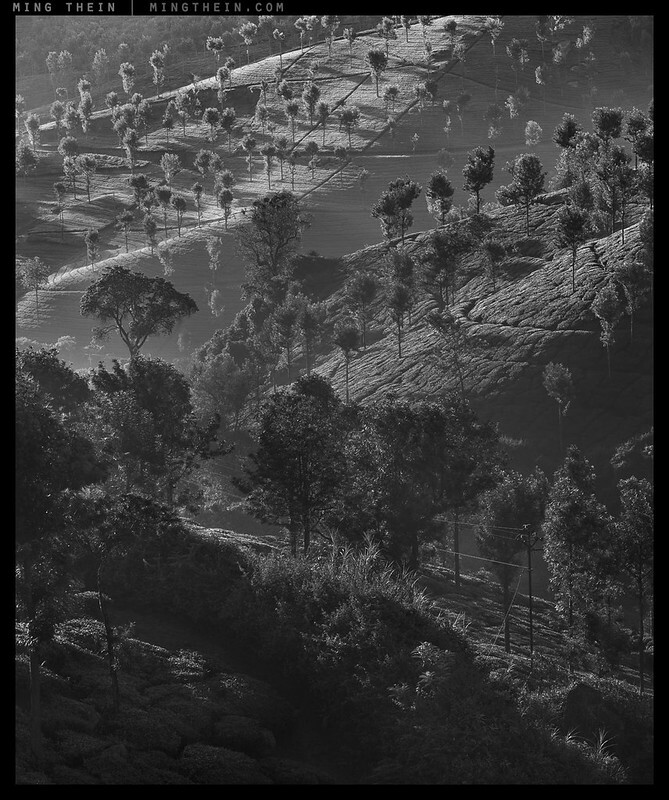 The Nilgiris ranges in India are not just mature geologically, but when travelling through them, you get the sense that the way of life here hasn’t materially changed in a very long time, either. 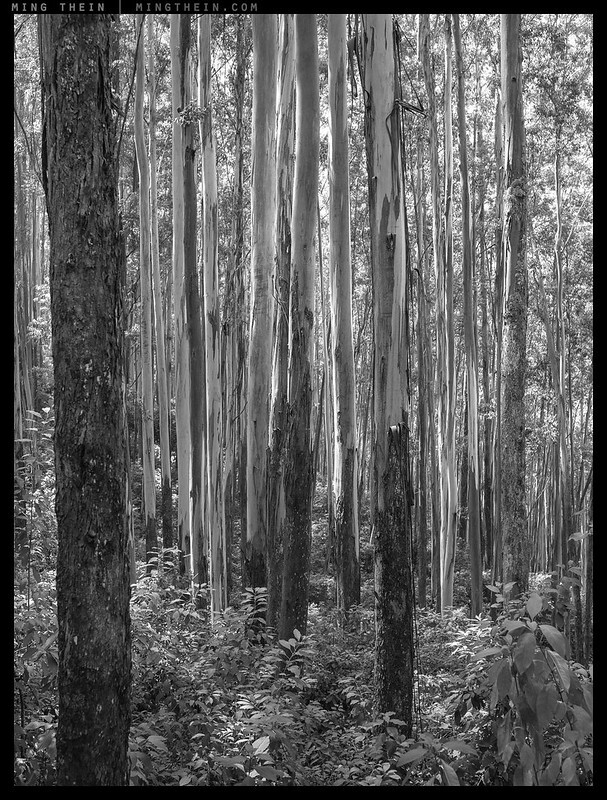 Tea plantation acreage has slowly increased to claim the forest and there are now much better roads, but the majority of the population is still involved in agriculture and lives not much above a subsistence level. The day proceeds at a leisurely pace, and is no different to the one before or the one after. Judging by the audience I attracted when we stopped to shoot, photographers obviously aren’t that common, either – or my 25+ year old camera was perhaps a bit too old. Unfortunately there were a lot of access restrictions preventing too deep forays into the montane forest (probably for our own good, as it is also tiger country) – but it’s definitely something I’d like to do on a future trip. Images were shot with a Hasselblad 501CM, CFV-50C and CF 4/150 Sonnar, post processed of course with the Monochrome Masterclass workflow. 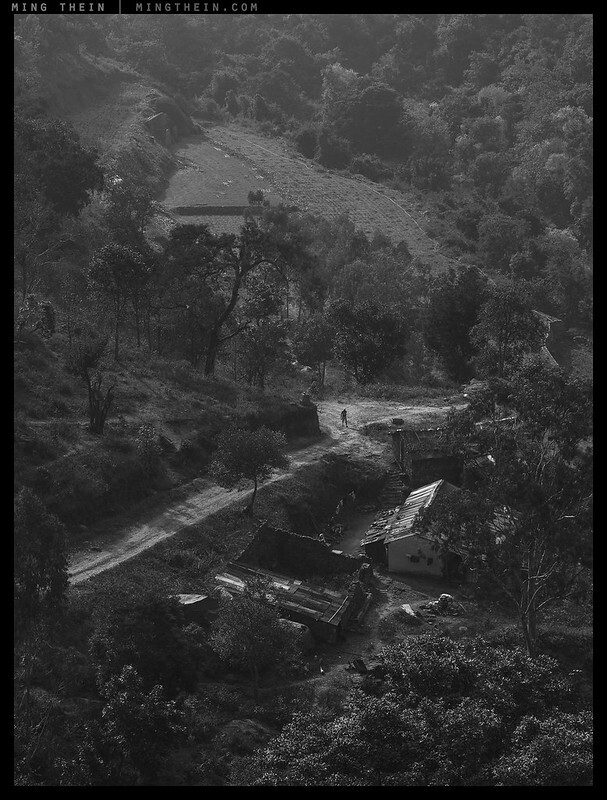 I lived in India in the late 60’s early 70’s and went to school in Mussoorie in the Himalayan foothills. That was where I started my photography at about 12 years old. The mountains were spectacular in monsoon. I still think fondly of all the hiking I did then and hope to return someday. Did you ever encounter some of the wildlife? I personally do not think that color is an added value, sometime it is just adding more complexity to the photo and it disengages the viewer from the subject. Of course a photo should be taken having already in mind the B&W conversion. Even the threes photo are interesting, I feel there is too much sharpening and the subject is too enforced. Creating a “disturbing” view of the photo. Could this be related to the web conversion? The perceived sharpening is definitely a downsizing artifact because of Flickr hosting. That’s been discussed at length previously. Meditation on chinese ink and wash landscape painting might be a help to clarify ones preferences as opposed to western Ansel approach. 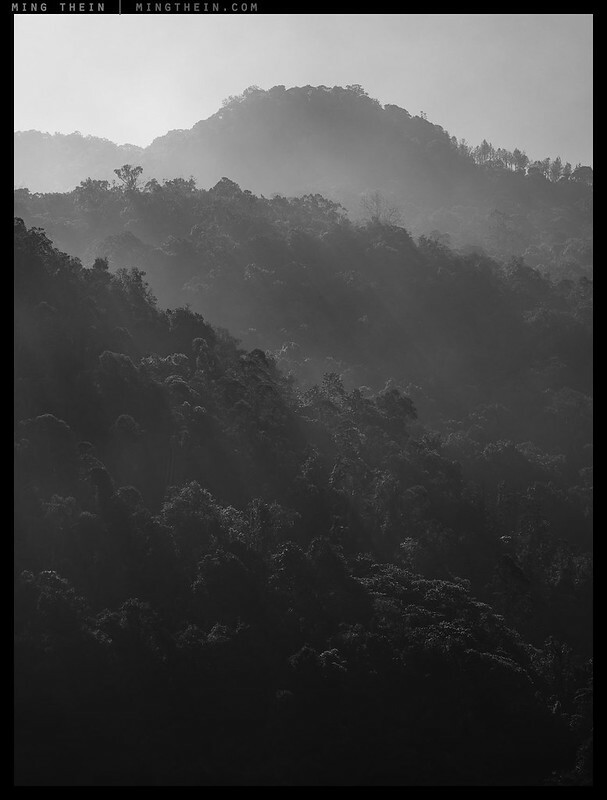 With all due respect, once you clear away the chaff of the obviously irrelevant (500px, LuLa, etc) there’s monochrome landscape being made that’s not Adams copies. Sally Mann, Sebastio Salgado, Hiroshi Sugimoto. And that’s why I said FEW, not NONE. Wonderful photos, black and white is so timeless. Your theory I believe is correct. 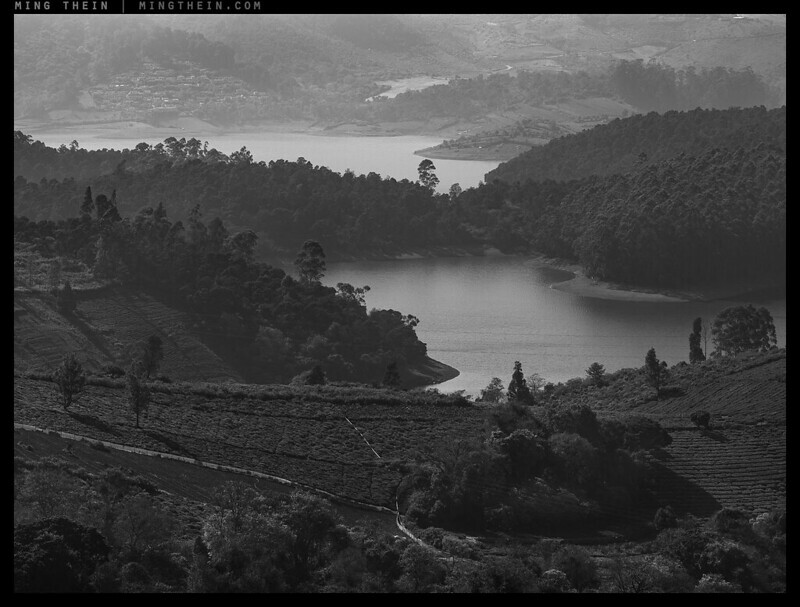 It certainly is a challenge to take interesting landscape shots in b&w. You’ve done an excellent job of creating a high interest level in your photos. There are 3 that stand out for me… 3, 4 & 9. They seem to have something in common. Possibly something related to distance. Every images has dramatic appeal. I’m unable to choose between them. Fascinating essay. It prompted me to re-visit your color essay from the same region. The emphasis and impact of color versus monochrome – so very different. You have provided us with a real chance to exercise our minds by placing the two in separate posts, by which I mean that the separation allowed for some pondering and thought before opening the other, a far better expereience than interspersing the color and monochrome images in the same post. The impact of color is too complex for me to understand, and certainly too complex for me to write about. The monochrome images, to my eye, place great emphasis on the light intensity, and the patterns that are produced by light against shadow, without the distraction of color variations also being present. The color qualities of the lighting can perhaps be inferred, but this is likely more imagination than reality. So…which one do you think works better? Better? Not always that clear – certainly different. And no doubt, very personal. 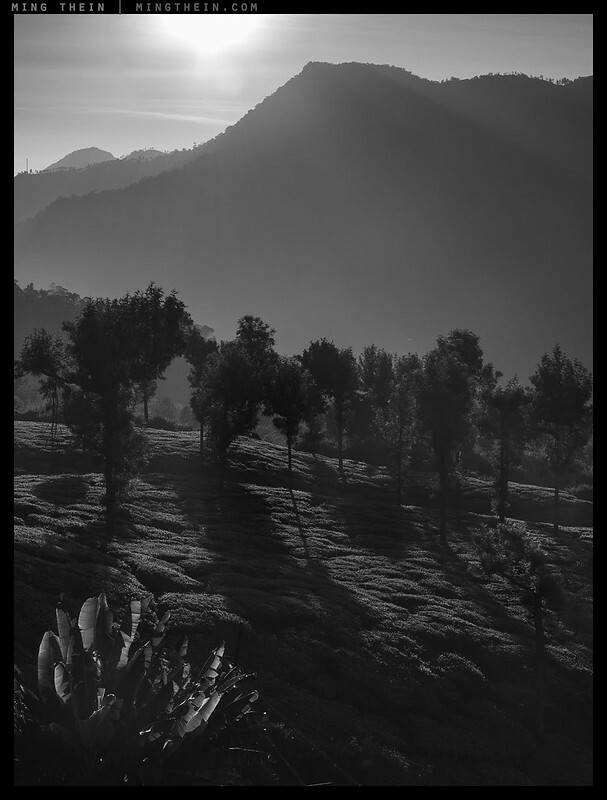 The first 3 images in this essay are of the type that they work better in monochrome, particularly the 3rd, where the long shadows and low angle of the sunlight are magic in monochrome. 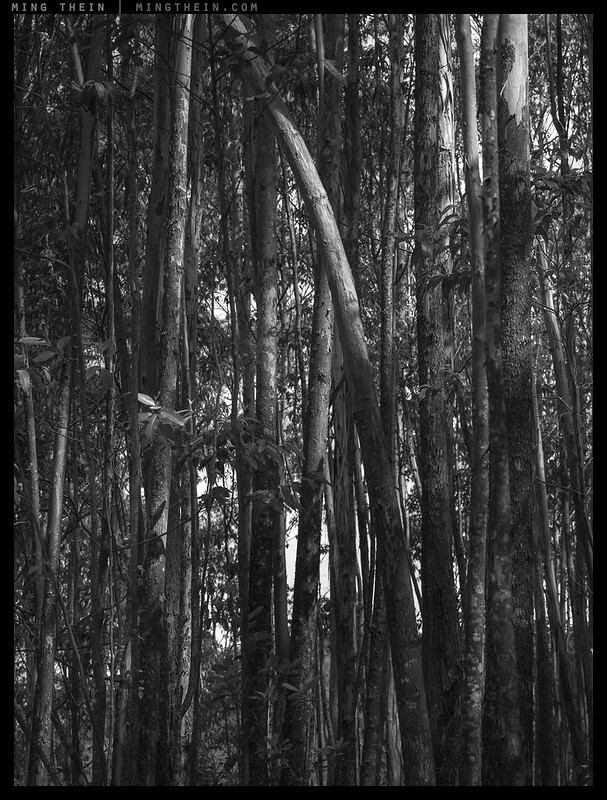 The 6th to 8th in this monochrome post, where the tree trunks are the “hero” elements work better in color. Many other subject types are worth longer investigation and contemplation on my part. Ming, so often the contrast of color is necessary, the gray tones don’t offer enough interest. 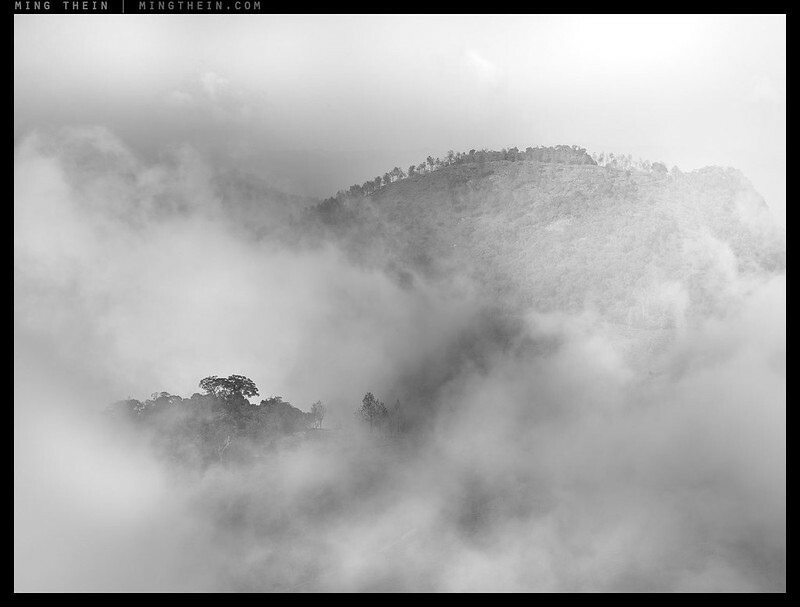 I have thought about buying a monochrome body but the limitations are too great for landscape. 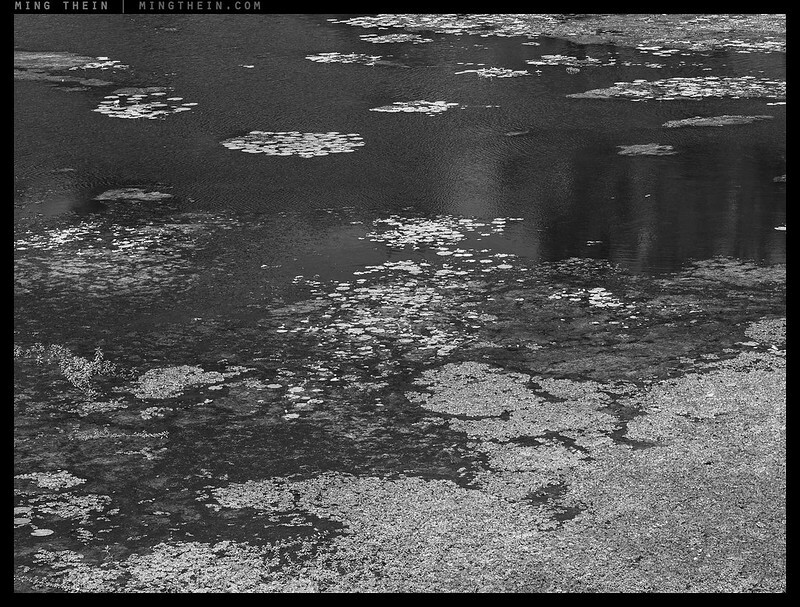 The work around is DNG + black and white jpg. It is a learning experience to see all images in black/ white and color. It doesn’t take long to realize what will look good in monochrome. Also, some toning of a monochrome is enough to give it the slight push it needs to go from OK to good in a few instances.